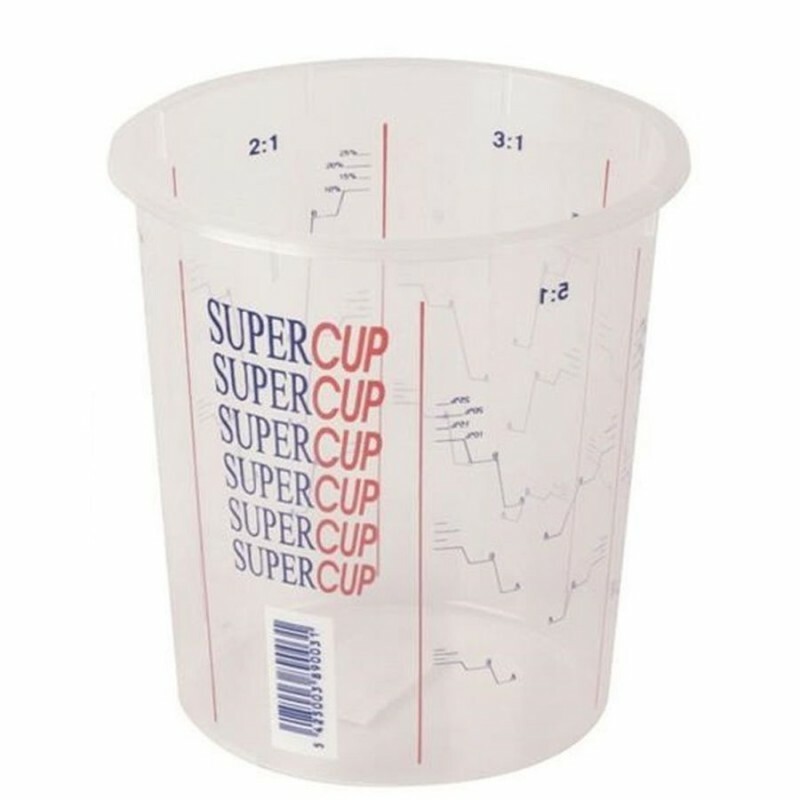 Mixing Supercup 600ml is a premium paint mixing cup made from thick, rigid polypropylene. There are calibrations showing volume - in millilitres and mixing ratios 2:1, 3:1, 4:1 and 5:1. Apart from being extremely accurate, these calibrations can be read from the inside of the cup.